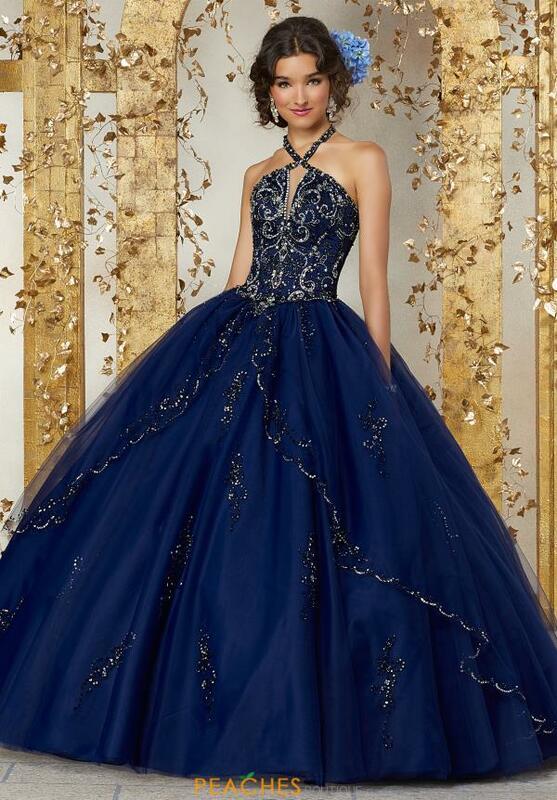 Lavish ball gown 89224 from Vizcaya is a show stopping choice for your quinceañera. This gorgeous dress features a high halter neckline with a keyhole opening in front and a lace up back. 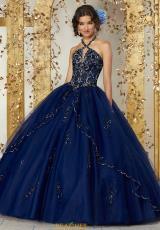 The bodice is ornately beaded, with intricate swirling patterns embellishing the front and back. The elegant skirt is made from a light tulle fabric, and has a split overlay which creates a stunning cascading look. 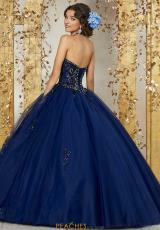 Delicate bead work trims the overlay and dots the rest of the skirt with small designs. The dress comes with a matching bolero jacket which is perfect to wear during mass.